Thanks to the analysis of the indicator relationships we are totally proactive. We can predict the future, risks that could be avoided/mitigated and opportunities that could be exploited. 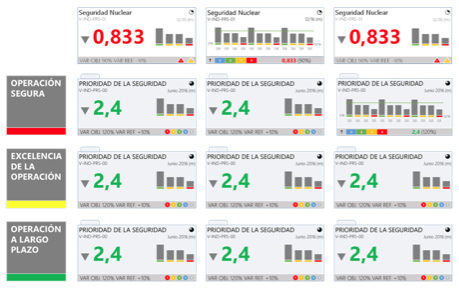 This dashboard provides timelines of risk/opportunity focused warnings and measures.